Act fast. Isolating the water source is critical. Turning off water at the mains or at an isolation valve/tap can minimise the volume of water and therefore the extent of damage. Take photos. If it is an active leak, taking photos and/or video can be invaluable in diagnosing the cause of the leak. Please ensure you tell your insurer and/or the attending builder/plumber that you have these photos/videos. Speak to your plumber. If you have a plumber attend prior to the insurer’s builder, please ensure you tell them to do any exploratory work from the adjoining rooms, i.e. access the pipes via the walk-in-robe or hallway that may be on the other side, rather than through the tiles which will immediately compromise any waterproof membrane that is in place and require the replacement of the bathroom. Provide access. Clean water is easy to deal with in that it needs to be extracted and the area dried. The longer water sits the worse it gets. Ensuring plumbers, restorers and builders can gain access quickly will ensure the damage will be minimised. Remove contents. If safe to do so, removing contents from the affected area will not only minimise damage to those items but also provide quick and easy access for restorers to start extracting the water. 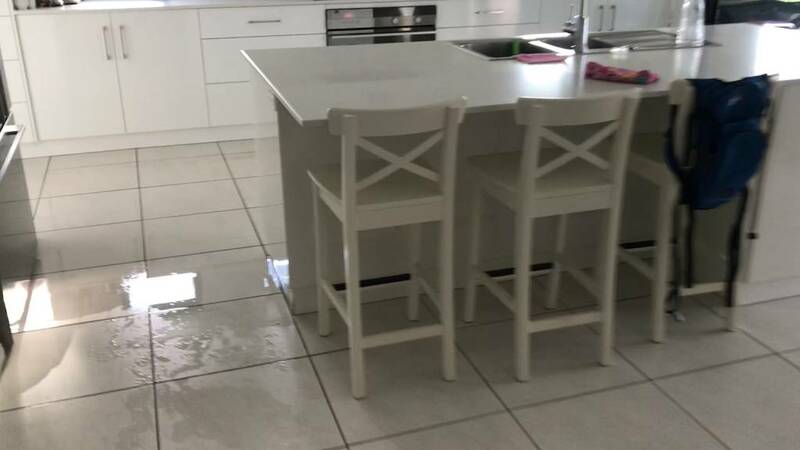 It is a good idea to remove any valuable or precious items from the affected rooms, so they are not accidentally knocked or damaged in the water extraction and drying phase. Remember take a photo to show the condition of the room and the contents affected before you start removing them.